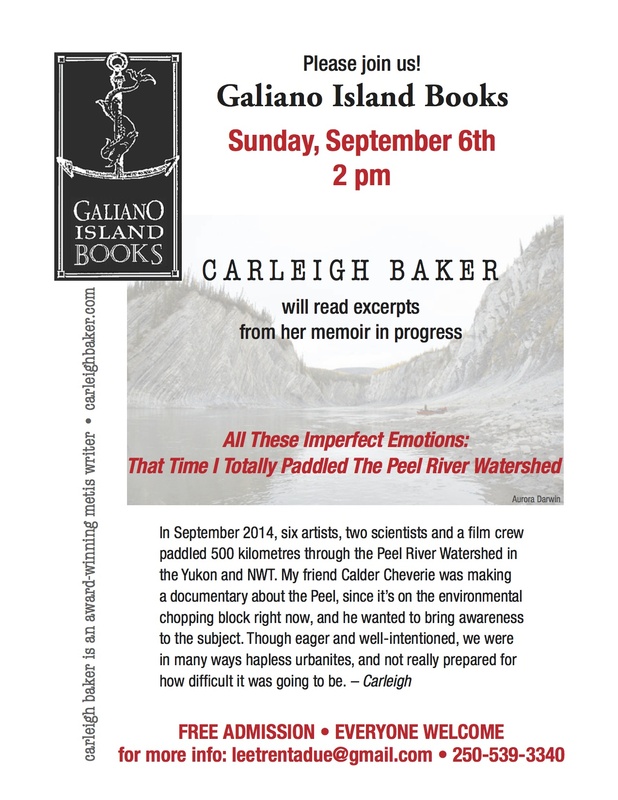 I’ll be reading selections from my memoir All These Imperfect Emotions: That Time I Totally Paddled the Peel River Watershed at my new home base, Galiano Island Books, on Sunday September 6th at 2pm. Hop on a ferry and join us! *Poster design by Donna Moreau. This entry was posted in Blah Blah Blah on August 26, 2015 by carleigh baker.